Since the Buddha did not fully explain the theory of persons that underlies his teaching, in later centuries a number of different interpretations were developed. This book presents the interpretation by the celebrated Indian Buddhist philosopher, Candrakīrti (ca. 570–650 C.E.). Candrakīrti’s fullest statement of the theory is included in his Autocommentary on the Introduction to the Middle Way (Madhyamakāvatārabhasya), which is, along with his Introduction to the Middle Way (Madhyamakāvatāra ), among the central treatises that present the Prāsavgika account of the Madhyamaka (Middle Way) philosophy. 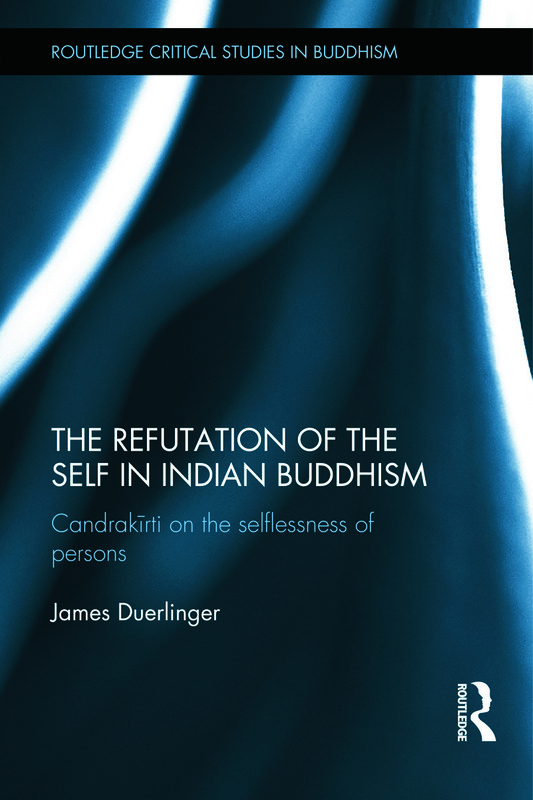 In this book, Candrakīrti’s most complete statement of his theory of persons is translated and provided with an introduction and commentary that present a careful philosophical analysis of Candrakīrti’s account of the selflessness of persons. This analysis is both philologically precise and analytically sophisticated. The book is of interest to scholars of Buddhism generally and especially to scholars of Indian Buddhist philosophy. James Duerlinger teaches in the Philosophy Department at the University of Iowa, USA. His research interests include the philosophy of religion, ancient Greek philosophy, and Indian Buddhist philosophy.